Home/Blog/Why Should You Choose Us for Your Heating and Cooling Needs? Advance Heating and Cooling is one of the leading HVAC companies that currently offers a range of different services to customers all over Melbourne. At Advance Heating and Cooling, we aim to become a one-stop solution to all of your heating and cooling needs. Our services are divided into four broad categories: heating and cooling, commercial services, building and trade, and breakdown services. We want to make life as easy as possible for our customers, and that is why we work with highly trained and reputable HVAC engineers to cater to your every need. 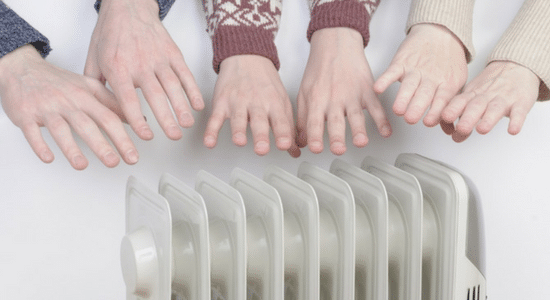 Advance Heating and Cooling might be one of the many companies that currently offers specialised heating and cooling services, but we have worked very hard to distinguish ourselves from the other companies operating in this sector. We pay very close attention to the standard of services that we offer, thus ensuring that our clients are completely satisfied with the quality of our work. We understand that the needs of every client are different when it comes to heating and cooling. Some want refrigerated cooling systems while others prefer evaporative cooling systems because of the fact that they extract fresh air from the atmosphere. Having been in this field for more than a decade, we have seen how technology has evolved. Whether you require a heating and cooling system for your commercial needs or need a new heating and cooling system for your home, we can help. We have affiliations with some of the leading manufacturers in the industry, which allows us to help you make a better decision about what system is best suited to your needs. We can cater to all of your specialised heating and cooling needs to ensure that climate control within the environment is as smooth as possible. We aim to become the ultimate solution to all of your heating or cooling requirements. At Advance Heating and Cooling, our services range from the installation of specific types of heating and cooling systems to carrying out regular repair and maintenance work such as ductwork cleaning and inspection. We have paid very close attention to ensure that our services are affordable and the rates are competitive when compared with other companies in the market. We don’t want to overcharge our customers when it comes to requesting these very basic services. On top of that, if you need to purchase any specific parts for your air conditioner or heating system, we can also assist you with that. Advance Heating and Cooling is the complete solution for all of your heating or cooling needs. We are the leading company in Melbourne right now when it comes to heating and cooling services, and we have worked diligently to ensure that we remain at the top. We believe in letting our work speak for us rather than making what may seem like tall claims or promises about our work. We guarantee that you will be fully satisfied with our services. We also offer a comprehensive warranty for our products and services as well to ensure complete peace of mind.